Is it a car? Is it a boat? Is it both? 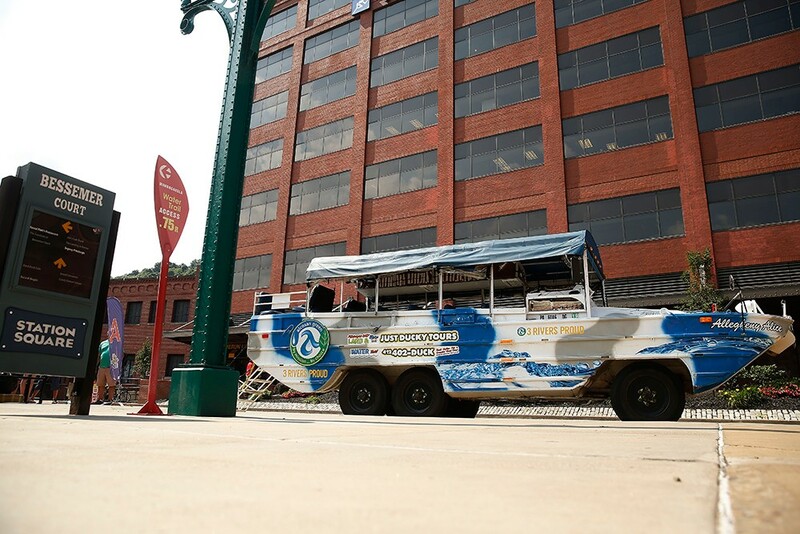 Just Ducky Tours touches land and sea — and hearts — in Pittsburgh. City Paper readers have annually chosen it as Best City Tour dating to 2014. You might say locals have joined tourists as voices amongst the quacks. After almost a year in Pittsburgh, I hadn’t tried the Ducky Tour. But on the final day of July, I spent an afternoon trying to figure out what makes Pittsburghers so darn Ducky. The tour started out with a drive through Downtown. Carol strung together a stream of educational facts while intermittently having us quack at passing businesspeople. We laughed in the rain at Carol’s eye-roll-worthy jokes. It was Bill who rolled us into the river. The car-to-boat transition was surprisingly smooth. And while in the water, Carol and Bill seemed to switch roles, with the captain offering a Wikipedia-worthy assortment of facts about Pittsburgh. At one point, we ducklings were allowed to steer the boat. The Ducky Tours should satisfy anyone. (Only the plastic duck whistles, which children blow until your eardrums are blown, are a negative.) The factoids, though plentiful, never feel forced. There is rarely a break in conversation during a quick-but-unique expedition through the city. I laughed harder than I’d like to admit at that one. 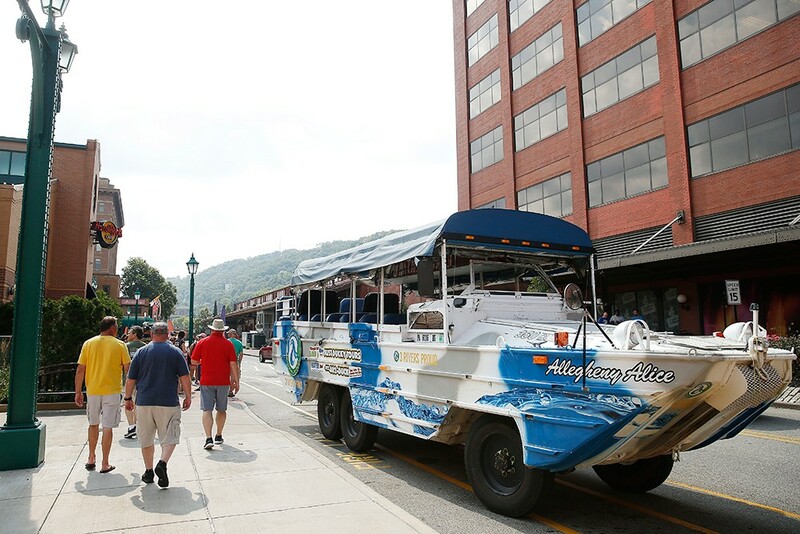 If the mark of a great tour is a terrific guide, the Just Ducky Tour delivers for all the Pittsburghers — those raised near the Three Rivers, and those who are still trying to learn how to pronounce Monongahela.